In a medium saucepan, combine the oil with the lemon zest, rosemary and garlic and cook over moderate heat until the garlic just begins to brown, about 6 minutes. Remove from the heat, stir in the olives and let stand for at least 15 minutes before serving. The olives can be prepared up to 3 days ahead and refrigerated; warm gently before serving. 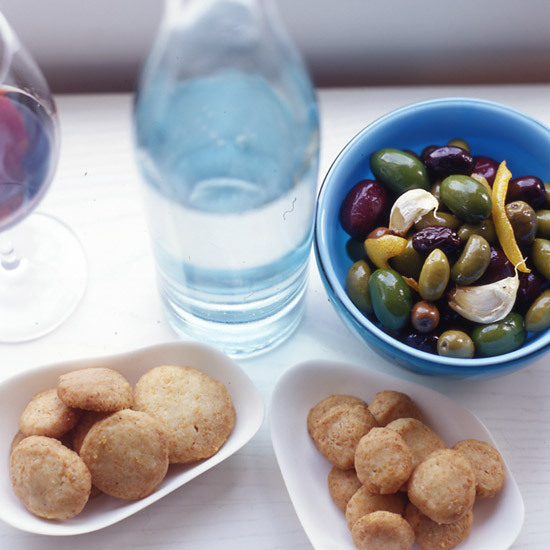 Cooking Club Tip: Variations on this hors d'oeuvre are endless. Play with different mixtures of herbs or add crushed red pepper.